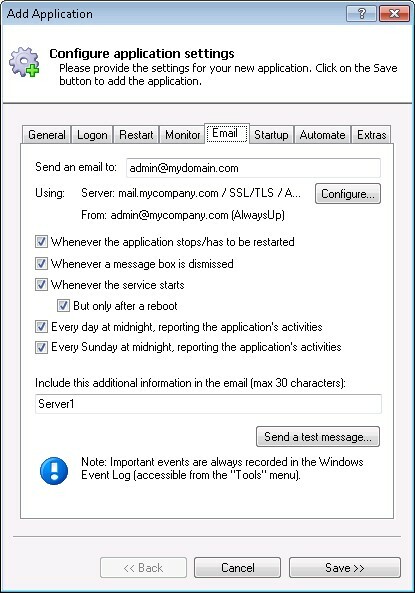 Some of these settings may look mysterious but your mail administrator will be able to tell you what to enter. 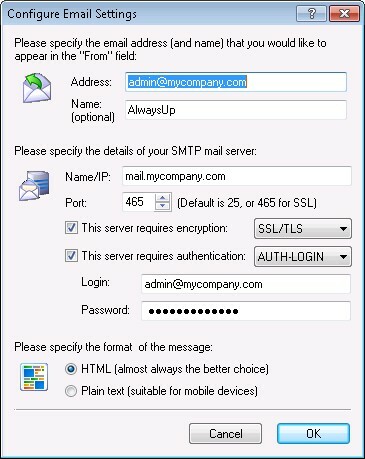 If you don't have an administrator, a search for the "SMTP server settings" in your email provider's documentation should yield good results. Or you can use your gmail account - click here to see the settings to specify. Is your application the most important thing running on the computer? You may be able to speed it up by boosting its priority and giving it more of your PC's valuable resources (CPU, Memory, etc). On the General tab, look for the Set the priority to: setting. 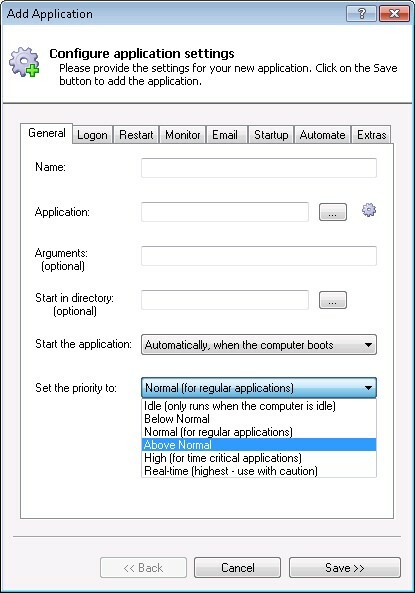 The default of Normal puts your application on par with the other programs. Change it to Above Normal or High to give your application preferential treatment. Even though the Real time option provides the largest boost, please use it with caution as your application could monopolize the entire machine if it hogs the CPU. 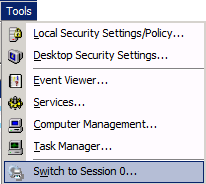 But there is another way to get to Session 0... simply select Switch to Session 0... from the Tools menu in AlwaysUp. Buckle up - its a wild ride! Are there services that must be started before your application can do its work? For example, a database application might need the MySQL service to be ready in advance. If these "prerequisites" are not accounted for, your application may fail to start when the machine boots. 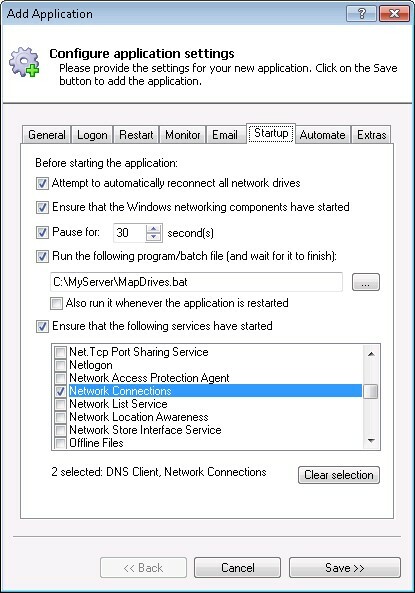 Click over to the Startup tab, check the Ensure that the following services have started box and check each service that your application depends on. AlwaysUp will ensure that these services are running prior to launching your application. That's it for now. AlwaysUp has a ton more features so be sure to check them out if you have some time. The 50+ page PDF manual describes them all.